Well, here we are. Here we stand, on the very brink of Christmas 2015 – Christmas Eve itself – and the final day of #WhiskyAdvent. Behind window 24 of every Drinks by the Dram Whisky Advent Calendar is a grain whisky that’s at least 50 years old(! ), bottled by the fine folk from Douglas Laing for their excellent Xtra Old Particular range. Whether you have an exclusive 50 year old Invergordon*, a 50 year old blended grain, a 50 year old Girvan (image below) or, as we’ve received here at MoM Towers, a 53 year old North British (tasting note below), you’ll be able to enjoy some extraordinarily well-aged grain courtesy of Douglas Laing. Many of you let us know how much you enjoyed your Girvan grains on Day 18, so this second grain should cause a fair bit of excitement. These are whiskies that matured for over half a century for goodness sake! Enjoy, and have an absolutely fantastic Christmas one and all! Last week I was fortunate enough to taste an upcoming release from The Glenlivet, the second best selling single malt Scotch whisky in the world. 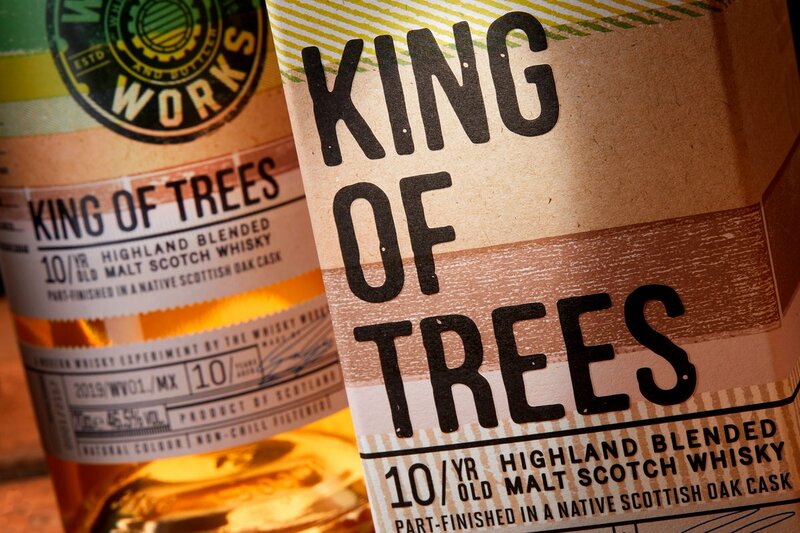 It’s a limited edition 50 year old vintage whisky release – the first in a series of 50 year olds (!) that are to be called The Winchester Collection. Matured in a single American oak hogshead (as far as I understand from my chat with Brand Ambassador Phil Huckle) this speyside whisky was laid down back in 1964 by none other than Captain Bill Smith-Grant, the final distilling descendant of the distillery’s founder, George Smith. The Winchester Collection therefore represents a special piece of history for The Glenlivet, a final liquid link with the family that started it all back in 1824. Hello, my name’s Mike. If you remember me at all, you’ll probably know me as the chap who wrote tasting notes and things, and used the word “soupcon” too much…. If you remember me at all, you’ll probably know me as the chap who wrote tasting notes and things, and used the word “soupcon” too much. If you work at Master of Malt, you may know me as “the bloke that did that thing at the Christmas Party” or “the terrible man who did that other thing in Sales Director Ben’s office which Ben still hasn’t found out about”. Regardless of whether or not you know me, you better learn something, punk: I’m back from Africa, I’ve just tasted a £16,000 bottle of whisky and now I’m going to tell you all about it. For those of you hitherto unfamiliar with them, our ‘Secret Bottlings’ series of Single Malts have long been a staple of our core range of Master of Malt branded scotch whiskies. They provide exceptionally well-aged whiskies at a price that seems utterly unthinkable in today’s world of 5-figure 50 year olds, and six figure 54 year olds. The secret with these whiskies has always been that we’ve released them without the name of the distillery present on the label, hence preserving the distillery in question’s brand equity, and allowing us to buy them at a fraction of the price that would be possible if the distillery’s own name was on it. If a distillery (let’s call it Glenyummy) has a certain number of customers (X) for its standard 12yo whisky, the chances are they’ll have a customer-base of about 0.05X for their 18yo expression, 0.0005X for their 30yo expression, and 0.0000005X by the time they hit anything over a few hundred quid. All the entrants had to do for a chance to win this astonishing prize was purchase any 70cl bottle of Glenfarclas from our website. There were just 500 chances to enter, and as you can imagine, they sold out pretty quickly!